Journeyman Relic nitro-celluilose finish. Lightweight Alder body in 3-tone Sunburst. AAA Rosewood fingerboard. Maple 5/4 Quartersawn Maple neck. Custom 9.50" to 12" Compound Radius. 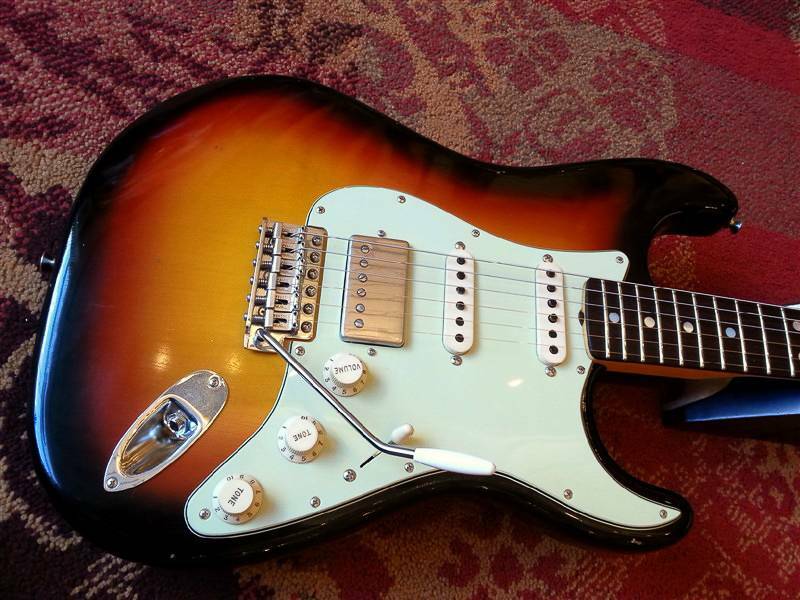 Seymour Duncan SH4 Jeff Beck bridge Humbucker. 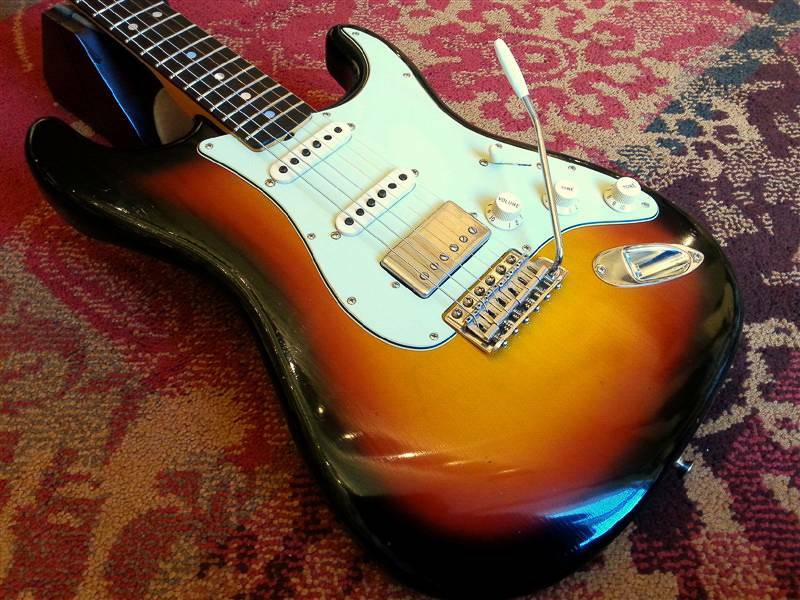 A very interesting and versatile '65 Strat in the very lightly RELICed Journeyman finish. Some players highly favor the Strat and it's comfortable contours, but at the same time require something else that the original 3 single coil pickups. 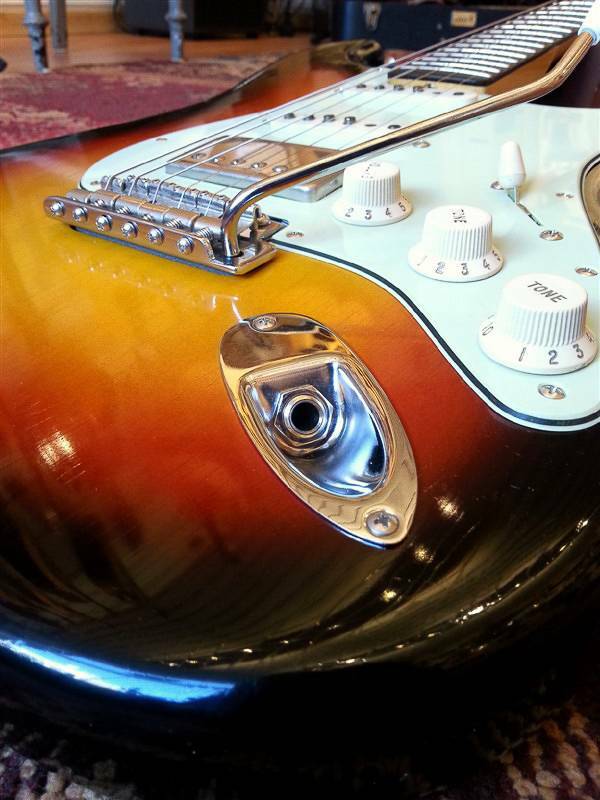 And indeed, the addition of a Humbucker in bridge position can really alter diversify the role a Stratocaster can play in recording or on stage. 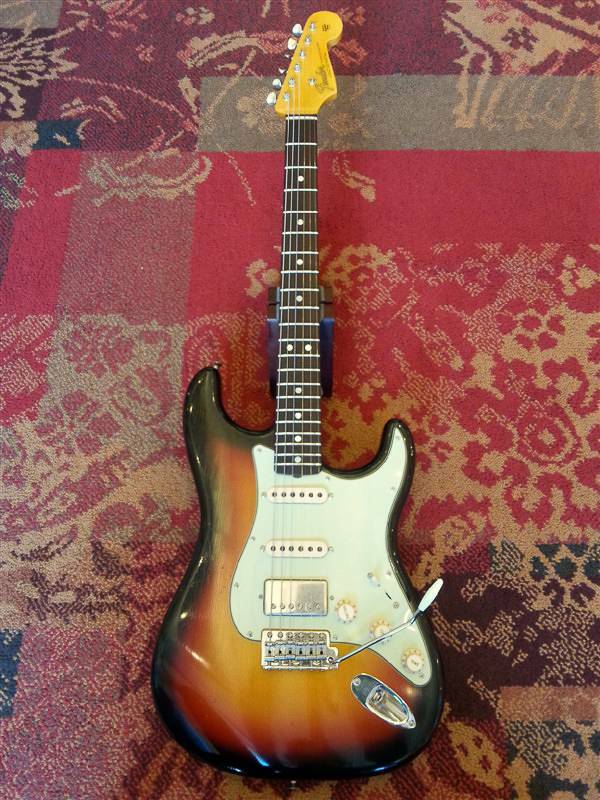 We really felt the need to also offer more than the period correct original takes on the Stratocaster design, and bring you this H-S-S (but totally Vintage Style) '65 Stratocaster. The nitro-cellulose Journeyman finish might even be our most beloved Custom Shop Relic finish; it's mildly reliced and always tastefully executed and just gives it the feel of having been played in....but without the additional heavy wear & tear we occasionaly come across. But luckily, to every man his taste.